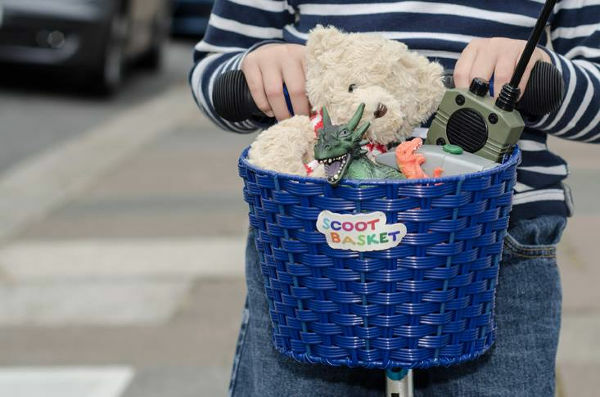 This scooter basket is one of those nifty items that kids and parents will both love. 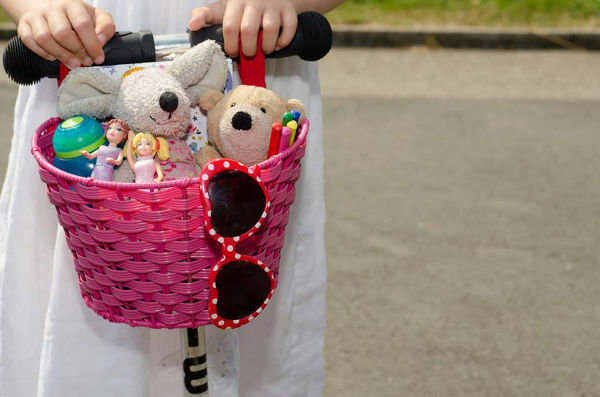 Now cute (and handy) little baskets are no longer just the domain of bikes. Both of my boys prefer to take their scooters on our daily walk, as we have three parks along our walking path and scooters are much quicker to decamp. And me? Well I usually carry the drinks and snacks, but no more because some clever clog has come up with the ultimate scooter accessory – the Scoot Basket. Designed to fit any scooter, the Scoot Basket attaches simply with velcro straps. It has a tough metal frame and a traditional woven look, but is waterproof. It comes in pink and blue and costs £10.99, from Scoot ‘N’ Pull – which you will have to contact directly for a quote on international postage.